The word Kung Fu (Hard Work) means the mastery of some difficult task-the attainment of a standard of excellence. 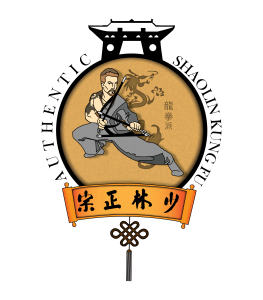 The art of Kung Fu is a combination of many Chinese physical-mental disciplines which include sparring, self-defense, weapons, forms, Shuai-Jiao, chin-na, bodybuilding, meditation and a holistic approach to health, fitness, healing, personal improvement and growth. Kung Fu involves the development of the complete person. It is a way of life, a method of achieving and attaining the highest physical and mental development possible. Kung Fu not only builds strength and self-confidence, but also improves health, fitness, self-awareness, concentration, motivation, and directs and focuses one’s mental and physical energies. The goals of Kung Fu are achieved through the development of relaxation, strength, endurance, flexibility, willfulness, coordination, agility, mind-body communications; abiding by the laws of nature in respect to diet, body dynamics and meditation. 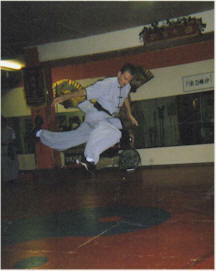 Kung Fu develops those forces and potentials which are already within us. The discipline carries over to one’s everyday life so one may be able to accomplish any task with ease using positive energy and concentration. In dealing with the recently popularized concept of Kung Fu, one must begin the discussion by explaining that Kung Fu is not just a martial art unto itself, but it encompasses the most effective and devastating methods of self-preservation known to man. The identity of Kung Fu is diverse; over 1,000 styles are known or recognized. From Kung Fu came Karate, Ju-Jitsu and most martial arts. It’s a way of thinking that became a code of living a productive life. Kung fu requires of the practitioner a strict focus on physical and mental discipline, unparalleled in Western pursuits. It is only as a whole concept that Kung Fu can be discussed, and this entails forms, weapons, fighting, self defense and spiritual development. To be adept, one must follow the way, the essence of the philosophy and life of the originators of the arts. One cannot buy or purchase this knowledge, except superficially. It is only acquired by the desire to learn, the will to discipline one’s self, and a sincere devotion to practice. Above all else is the respect and high regard your teachers receive from you the student. If you are fortunate and desire it enough, working hard and diligently, you may succeed in passing on the system if you are called to do so. In this way, you truly honor your elders and the many masters that have preceded them.